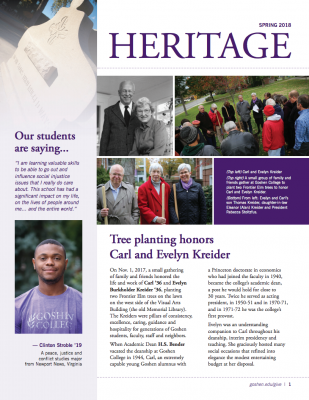 The Heritage Circle is a special group providing for the future of Goshen College. It consists of anyone who has named Goshen College in a deferred gift plan of any type. These include, but are not limited to, a Last Will and Testament, a gift annuity, a charitable trust, a life insurance policy or naming Goshen College as a beneficiary of some of your retirement plan assets. To inform us of your intent or request additional information, refer to the estate planning reply card or contact Roger Nafziger, director of planned giving. 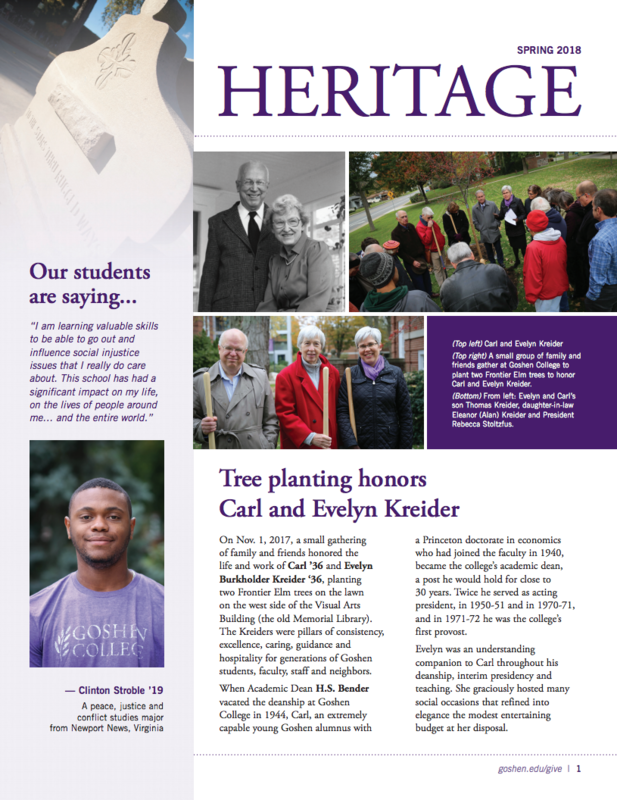 Heritage Circle members receive the Heritage newsletter from the development office that features content such as estate planning tips, donor stories, GC ‘then and now’ and updates on current GC advancement initiatives.